My mom makes fantastic homemade cinnamon rolls, however, they need to rise twice and generally take forever to make. It’s why I adore these easy pumpkin cinnamon rolls that are truly a no-brainer. Okay, fine, my mom’s cinnamon rolls don’t take forever to rise, but they do take 4.5 hours. Who’s waking up at 3:30 in the morning to make them? If I’m up at that time its to nurse our sweet baby and then back to bed. 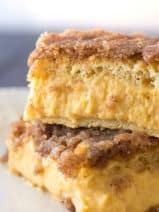 These tasty pumpkin cinnamon rolls seriously take took only a couple minutes to put together and then about 12 minutes to bake. 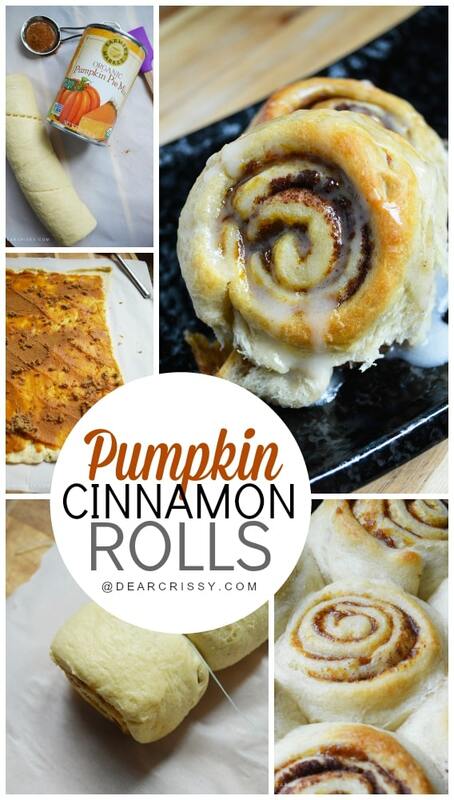 The trick behind these easy pumpkin cinnamon rolls? Refrigerated Pillsbury Crescent Rolls. 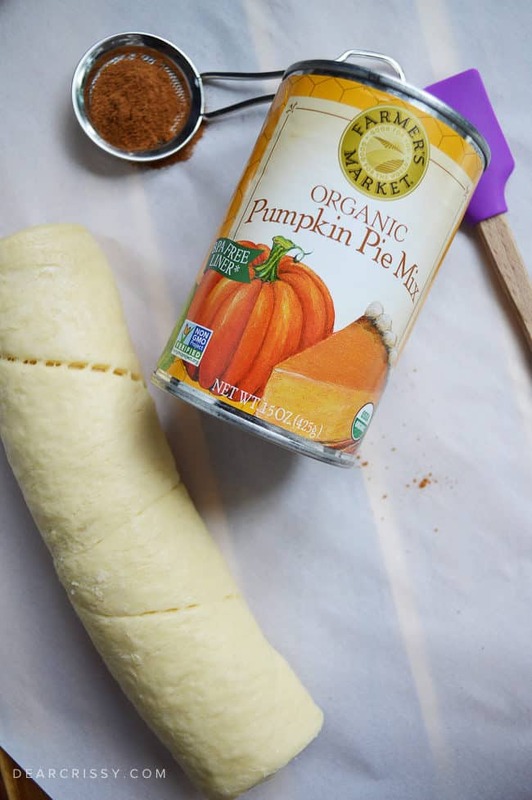 This little shortcut means you’ll have delicious, warm, ooey-gooey pumpkin cinnamon rolls in about 25 minutes from start to finish. I don’t know about you, but that’s the kind of shortcut I like! 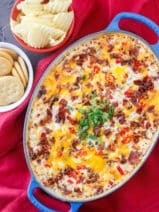 This is a wonderful recipe to make with the help of your kids or grandkids. 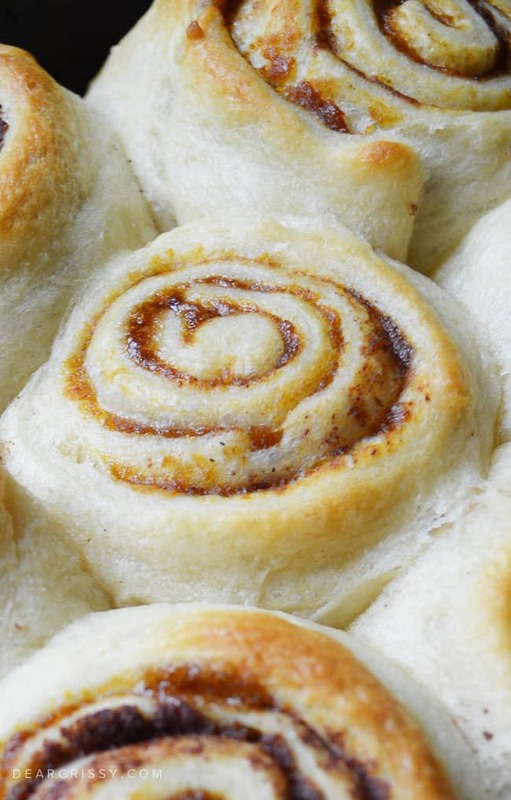 Let children help roll out the crescent roll dough and add the filling ingredients. It’s so fun to get the kids involved in the kitchen, especially around the holidays. These rolls smell absolutely wonderful baking in the oven, and this is a recipe that my family enjoys quite a bit. The pumpkin flavor in these rolls gives them a little special something, and the easy glaze sends them over the top. 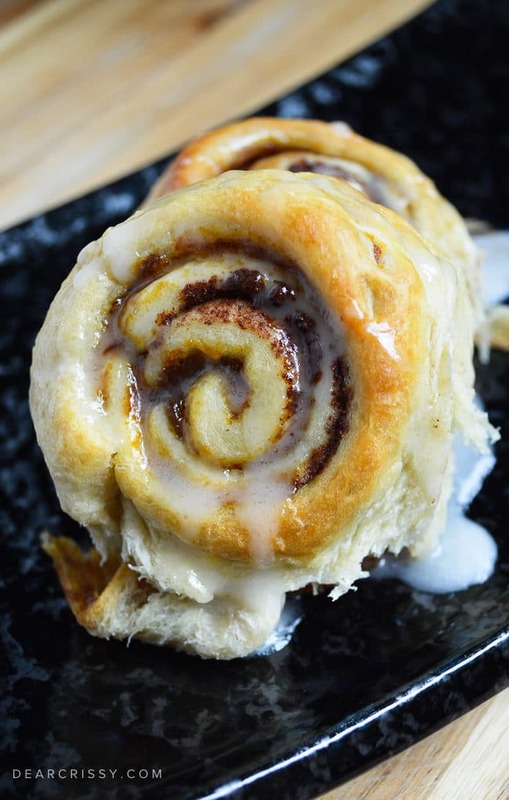 There are so many ways to use crescent rolls when baking, especially during the holiday season. In fact, you don’t want to miss this incredible recipe for easy apple pie bites. 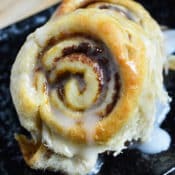 Check out the video below for a fun tutorial showing you how to whip up this fun crescent roll inspired holiday dessert. 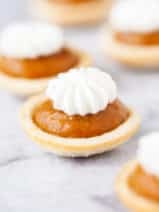 I hope you love this quick and easy pumpkin dessert recipe as much as I do! Also, if you’re a big fan of pumpkin desserts in the fall, be sure to check out my famous pumpkin crunch cake, my amazing melt-in-your-mouth pumpkin cookies and these easy baked pumpkin donuts. Pumpkin sheet cake is also a winner. For cinnamon fans, try our tasty cinnamon coffee cookies! Preheat your oven to 400 degrees. 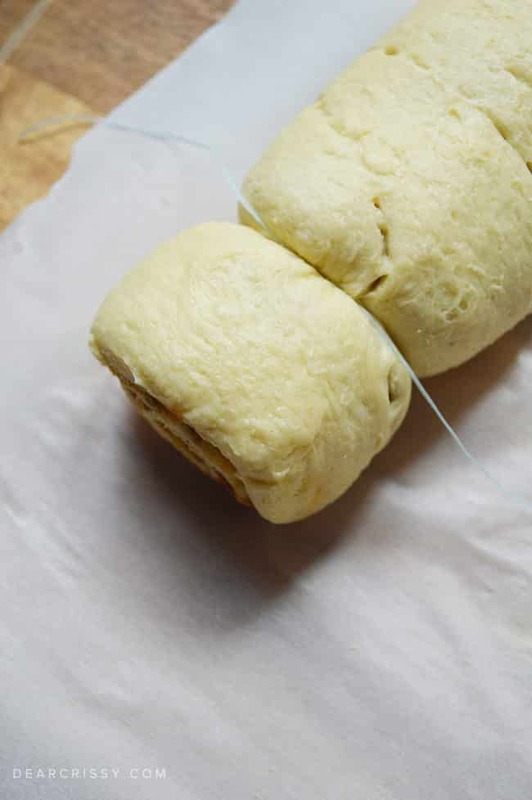 Start by unrolling the dough on a piece of parchment paper and then smoothing it out. I pushed the cut lines back together so there would be one smooth piece. 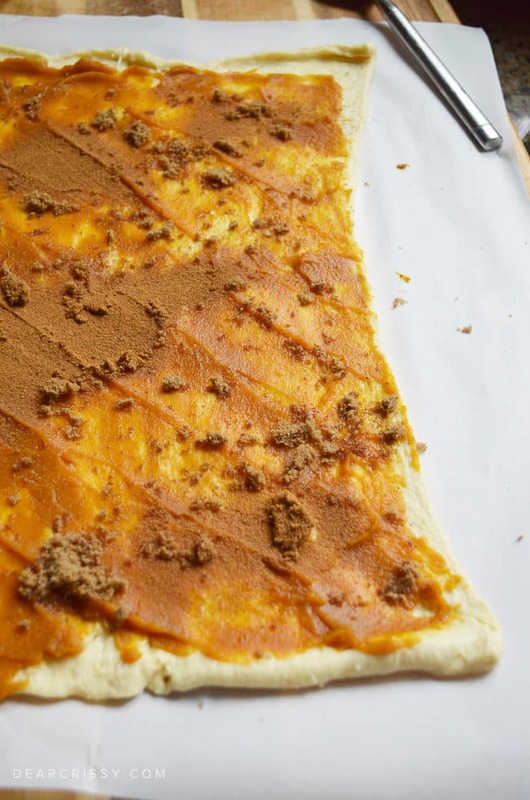 Spread the pumpkin puree over the dough sheet and then sprinkle with the brown sugar and cinnamon. 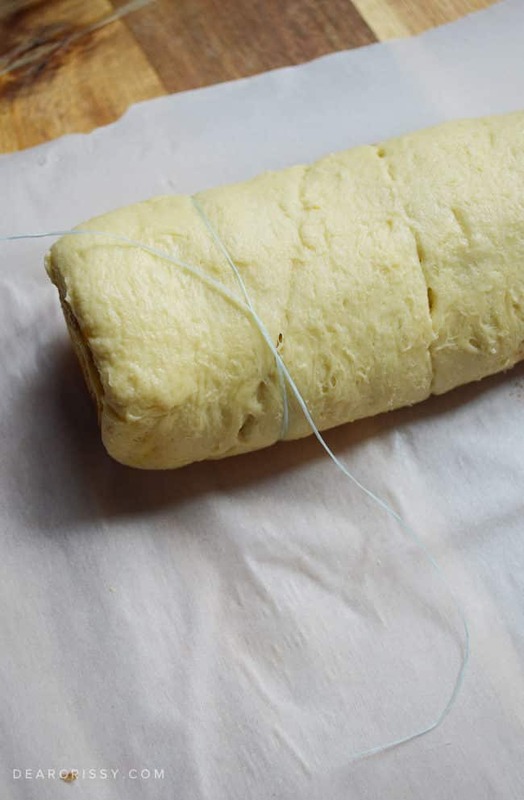 Tightly roll the dough from one end to the other until you have a tight and neat log. Cut with a knife or use floss to slice the dough log into discs. Mine were all different sizes and still came out great. Bake for about 9-14 minutes depending on how hot your oven is and how browned you prefer for them to be. While they are cooling you can mix up the glaze. Simply add the coconut oil (you can warm/melt it in the microwave very quickly) in with the confectioners sugar and then a tiny bit of almond milk at a time until you have a smooth and thick glaze. Drizzle over the cinnamon rolls when they have cooled a bit. I LOVE pumpkin recipes! Thanks so much for sharing!!! These sound delicious!! One question – is it ok to use a different oil other than coconut oil? I have all the other ingredients except the coconut oil. Thanks again!! 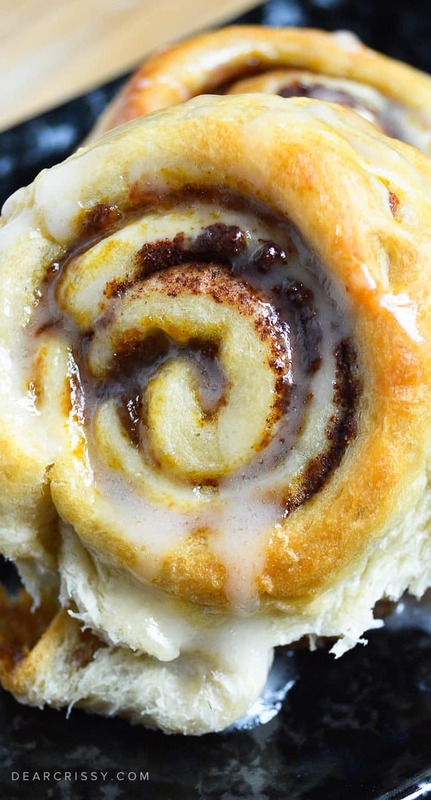 I love cinnamon rolls and these look so tasty. I have to try them. Thanks for sharing the recipe. This looks really great. The dough part is always tricky, and time consuming, so to see crescent dough is a wonderful idea. Next time the dough is on sale, I’m making this. I really don’t know why you got the comment that the recipie wasn’t clean, considering it wasn’t advertised as such. To each their own.